Allegany State Park is beautiful all year 'round, but springtime is an extra special season. The trees, the animals, and the flowers are all things that are part of the GeoBash experience. There are many beautiful spots in the park and it's no coincidence that there are geocaches located in strategic spots all over the park. The weekend starts with the annual Meet & Greet Bonfire event Friday night hosted by the Allegheny Rangers. 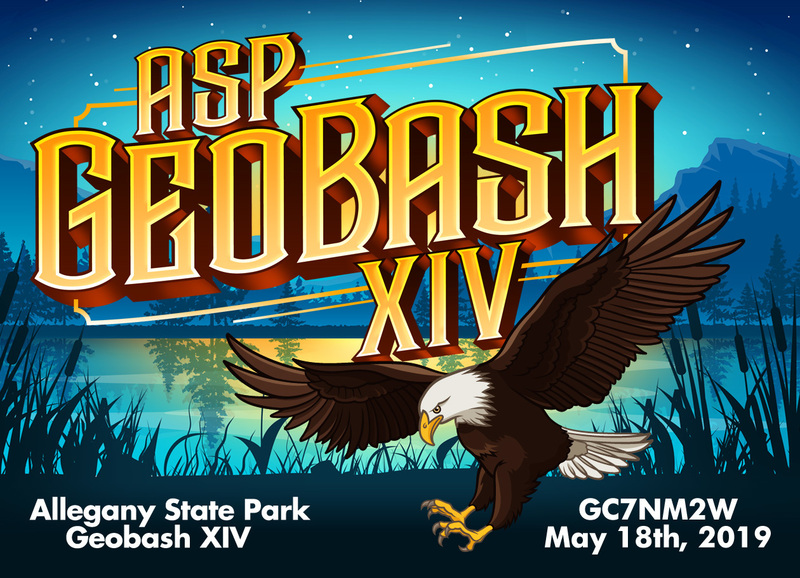 On Saturday, the ASP Geobash XIV event will take place at Camp Allegany. We have plenty of activities planned. Along with lots of new geocaches it should be a busy weekend. Sunday will be the traditional FREE pancake & sausage breakfast to get everyone up and going, and clean up the event grounds. Come and stay the weekend or the day. Maps and info about park reservations or accomodations in nearby cities can be found on our webpage along with the latest updates as they become avaliable on our facebook page.